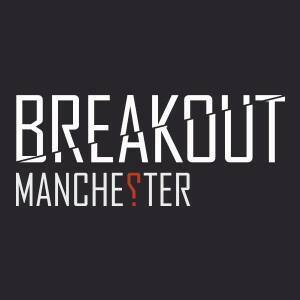 Being a manager here at Breakout we get to see and hear some very interesting things, from and staff and customers. When one of our managers Kate first started she thought she was doing a good deed and started to water the plants. These plants are in fact fake and she didn't realise until someone else told her. Kate also used mouth spray for a week thinkng it was hand sanitiser. Another highlight was when she was told to tidy our storage cupboard and came across a brick, instead of throwing it away she decided to tidy it away in a drawer. Our Liverpool Centre Manager Dan forgot to insert paper into a laminating sheet and put it through alone. Safe to say this did not work, it melted and broke. One of our game operators Jenah thought you had to pre-charge rechargable batteries before use. Simon one of the game operators came out with this classic quote when someone was ill in the office "DON'T COME NEAR ME I HAVEN'T GOT THE ANTI BODIES AND I HAVE A WEDDING IN TWO WEEKS"
Frankie a game operator was told to use double sided tape but started trying to peel black duct tape and was wondering why it wasn't working! Here at Breakout we don't have a great concept of size when ordering items for our rooms. Many items have arrived smaller then we anticipated like posters, photo frames, name badges and "life size skeletons". We also like to play tricks on each other like scaring each other but the best and most deadliest thing you could do here is.... leave your facebook page logged in. The customers also keep us entertained, especially when they turn up dressed as Ginger Spice or arrive straight after their wedding ceremony all dressed up.